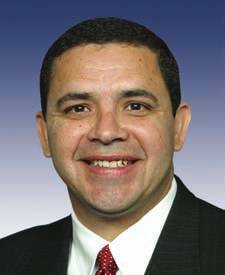 Republican Party of Texas Chairman Cathie Adams called on on Rep. Henry Cuellar Friday to support an investigation into the unfolding Obama administration's job offer scandals. “As a Member on the House Committee on Oversight and Government Reform, Cuellar needs to answer immediately whether or not he will support a full investigation into Obama Administration officials offering candidates jobs to bow out of contested races,” said Chairman Adams. Chairman Adams added, “Given Cuellar’s position on Oversight and Government Reform, his silence on the issue is deafening. Cuellar must immediately let the public know if he supports a full investigation into the White House’s efforts to persuade candidates in specific races. As an elected official on the House Committee on Oversight and Government, it’s the least Cuellar can do for Texas."